Glucomannan and Weight Loss | How effective is it? The best way to lose weight is by striking a balance between how active you are and how much energy you take in from food. Control your appetite and you’re well on your way to reducing food intake and triggering fat loss. And that’s where glucomannan comes in. From the root of the subtropical konjac plant, glucomannan is a complex, long-chain sugar that is high in β-D-glucose and β-D-mannose polysaccharides. It is a natural dietary fiber extracted directly from the dark purple perennial plant, which has practically zero calories. And because human saliva can’t break down these polysaccharides, konjac root passes through to your digestive tract relatively unchanged. From there it is fermented in the colon by your gut bacteria before being digested. This means you feel fuller for longer tha nother foods which are digested much quicker. Popular in Asia, you’ll find glucomannan products such as pasta, noodles, gummies and candies. Why is glucomannan an effective fat burner? Glucomannan is a fibrous complex with a difference – it expands… a lot. After consuming the nutrient, it swells in the stomach to create a feeling of fullness that you won’t find in any other fat burner supplement. If you think this exotic plant root seems out of place in a modern day supplement, you couldn’t be more wrong. That’s because glucomannan is one of best natural sources you can find to achieve effective appetite suppression, and one of the only ways to stay shredded without suffering uncontrollable hunger. Originally made in traditional Japanese cooking, glucomannan’s unique properties was as all-natural thickening agent really comes in handy here. It’s ability to swell in the stomach not only suppresses appetite but also helps improve gut transit and the body’s digestive tract efficiency. Without a doubt, one of the biggest problems come cutting season is cheating on your diet. It doesn’t matter how good your meal plan is, or how hard your training, if you’re restricting calories you’re going to have a problem – and sometimes it can be too tempting to overcome. Glucomannan changes the game significantly – it’s ability to expand in the stomach and suppress appetite helps make the time between meals more bearable, especially if you’re Intermittent Fasting. Once eaten, glucomannan can absorb up to 50 times its own weight in water, leading to a gel-like substance that fills out your stomach, much like a good, hearty meal would. Foods that are rich in fiber have been used to improve metabolic health for a number of years – and glucomannan is no different. It has been seen to improve diabetes and high cholesterol in a number of clinical studies, as well as improve risk markers of cardiovascular disease and even constipation. Research – How Does Glucomannan Boost Weight Loss? When it comes to assessing the reliability of your fat burner supplement, it all comes down to the research. Anecdotes from family and friends is one thing, but looking at objective data from laboratory and clinical trials is a whole new world. And glucomannan is one of the most rigorously testes nutrients you’ll come across. In a recent study from the Journal of Obesity participants took the nutrient each day for 8 weeks without making any changes to their diet or lifestyle . The authors of the study concluded that “with its low energy density and bulking properties, glucomannan seems to promote weight loss by displacing the energy of other nutrients and producing satiety and satiation as it absorbs water and expands in the gastrointestinal tract”. In the study, a group of men and women completed an 8-week program of 3,00 mg of glucomannan combine with either an exercise program or no exercise. Both groups were put on a diet of healthy eating too. The participants showed an improvement in their bench press and squat, as well as a reduction in fat mass and cholesterol levels. Combining glucomannan with a structured physical exercise program of cardio and strength training can boost fat loss by a massive 63%. In a well-planned and robust 8- week double-blind study, a group of 20 obese volunteers were given two 500 mg doses of the fibrous supplement per day with water . They took the supplement an hour before each meal and were asked not to change the way they ate or exercises to make the study more reliable. The results showed that on average, patients lost 5.5 lbs (2.5 kg) in weight and significantly improved cholesterol levels too. And not one of the volunteers suffered from adverse reactions or any side effects either. The beauty of this study is that it showed weight loss could occur without following a strict diet or gruelling exercise regime. Solution – How Does Glucomannan Help With Fat Loss? To ensure a comprehensive balance between all aspects of the fat burning process, we found glucomannan to offer the best appetite suppression out of every natural resource. Combined with the other ingredients that help boost metabolism, energy levels and thermogenic fat burning; Instant Knockout is one of the most technical and effective fat burners available on the market. Instant Knockout is a state-of-the-art, exhaustively research fat burner designed to ramp up your fat loss and boost your energy levels. 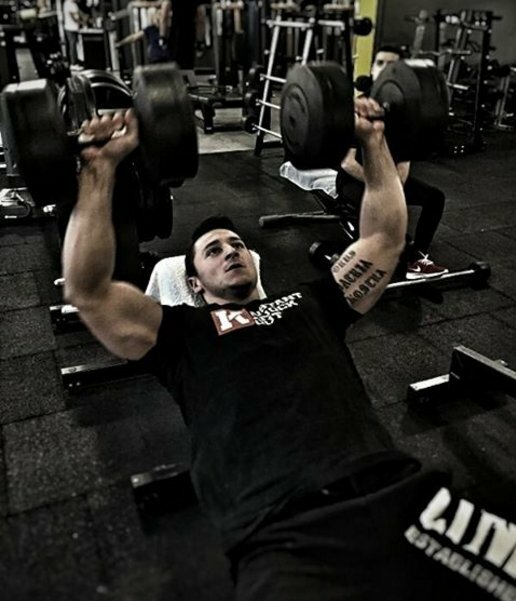 Shred fat whilst crushing your PRs in the gym. Tone up your abs whilst hitting the race track hard with this stimulant-enriched, gold standard supplement, made from the best quality, all-natural ingredients.